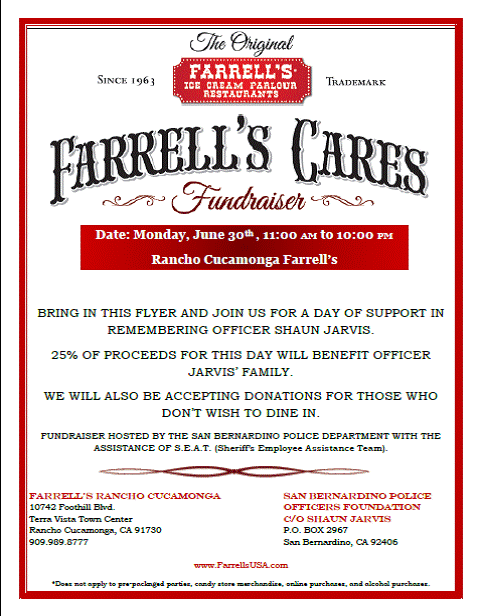 The Rancho Cucamonga Farrell’s Ice Cream Parlour Restaurant is hosting a fundraiser today (June 30) for the family of San Bernardino Police Officer Shaun Jarvis. Jarvis was killed in an off-duty motorcycle accident on the 91 Freeway in Corona back in May. To participate, simply print out the flier (at right) and bring it to the restaurant, 10742 Foothill Blvd., between 11 a.m. and 10 p.m., and Farrell’s will donate 25% of your bill to the cause. Riverside Restaurant Week has expanded beyond last year’s downtown borders. This year’s crop of participating restaurants run the gamut from Subway to Duane’s Prime Steaks and Seafood in the Mission Inn, with something for every taste and budget. Specials include percent-off deals, daylong happy hour prices and prix fixe menus. For a complete list of specials and participating eateries, click here. Riverside Restaurant Week ends Sunday (June 29). Congratulations to two restaurant chains that turn 50 this year: Del Taco and Black Angus. Black Angus has kicked off a yearlong celebration with a classic cocktail menu, featuring timeless libations such as Rob Roy, Old Fashioned, Sidecar, Whiskey Sour and Vodka Gimlet. In addition, the classic cocktails are available for just $5 with the purchase of any entrée on Tuesdays. The steakhouse also will introduce limited time entrées and seasonal desserts throughout the year. 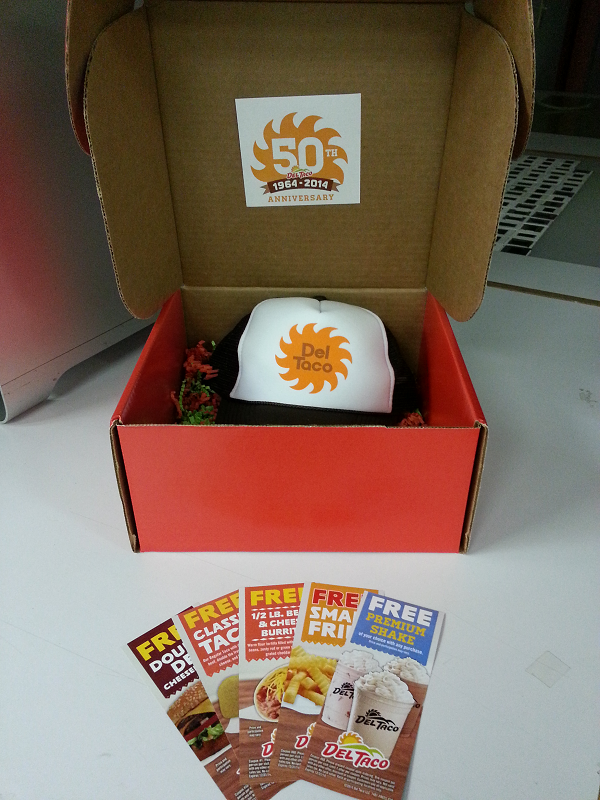 Del Taco, of course, was born in the Inland Empire, and is intertwined with the histories of Baker’s Drive-Thru, Taco Bell, Taco Tia and Naugles. The Chino Denny’s at 12180 Central Ave. has recently been renovated and the location is celebrating its renewal with special offers this Friday and Saturday (June 27 and 28). P.F. Chang’s. Fleming’s Prime Steakhouse & Wine Bar. And now, Paul Martin’s American Grill. Paul Martin’s, the third of Paul Fleming’s restaurants at Rancho Cucamonga’s Victoria Gardens, officially opened Monday (June 23). A great fundraiser and culinary event is returning to Rancho Cucamonga’s Victoria Gardens on Thursday (June 26). 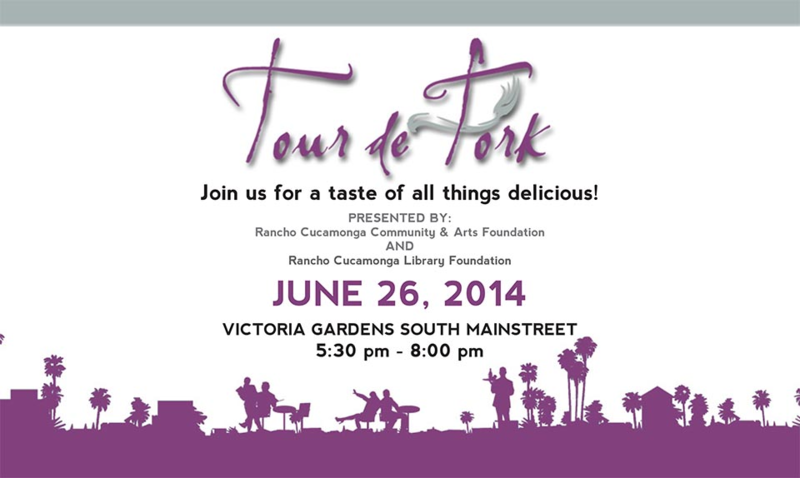 The second annual Tour de Fork will take place from 5:30 to 8 p.m. along the center’s South Mainstreet. Tickets ($42-$52) include unlimited food tastings and five beverage tastings. A full 100% of ticket sales will benefit your choice of three local charities: The Rancho Cucamonga Community and Arts Foundation, the Rancho Cucamonga Library Foundation or Rancho Cucamonga Animal Care and Services. It’s time again for the Cheers event at Fairplex in Pomona. Tonight’s (June 21) the night. Billed as “L.A.’s wine, spirits, beer and food festival,” the event showcases the award-winning wines, spirits, beers, olive oils and dairy of the 2014 Los Angeles International Competitions. More importantly, it’s a fundraiser for educational programs at the Learning Centers at Fairplex, which offers educational programs for students of all ages and socioeconomic backgrounds. Our friend (and Ontario native) Charles Phoenix is returning to the scene of last winter’s doughnut exchange — the iconic Wigwam Motel. 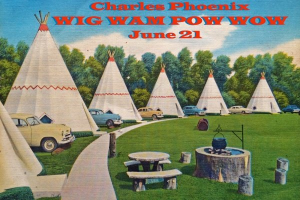 Tomorrow (June 21), he’ll be hosting the Wig Wam Pow Wow, a veritable cornucopia of nostalgic fun, complete with a vintage trailer and classic car show, an old-fashioned weenie roast (featuring Gazzolo’s sausages), a sing-along ’round a bonfire, and of course, one of Charles’ signature retro slide shows. There are plenty of other surprises in store, including an appearance from the world-famous Bob Baker Marionettes, Ballusionist.com’s Brian Potivn, and the delightful musical stylings of Mr. Tiny and Mary. Redlands’ Downtown Art Walk and Crab Boil — or as we prefer to call it, the Downtown Crab Boil and Art Walk — will take place from noon to 6 p.m. today (June 15). For $15, participants can get crab and crawfish dishes prepared by Ryan Berk of à la Minute and Parliament Chocolate and the Jonathon Wiener from Lounge 22. Beer (from Hangar 24 Craft Brewery and Ritual Brewing Co.) and wine (from State Street Winery) will be available for an extra $5. Our friends at the Claremont Vom Fass are celebrating Father’s Day with a special treat. The gourmet shop will be serving bite-sized portions of seared apricot waffles à la mode with whiskey cream, followed by a whisky tasting. The event runs from 1 to 4 p.m. today (June 15) at the shop, 101 N. Indian Hill Blvd., Suite C2-100.